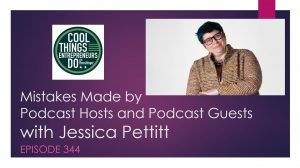 Jessica Pettitt has been a guest on nearly 100 podcasts. In 2018 she made a goal to appear on one show per week. Her experience as a guest who is committed to doing a great job for each show she appears has lead her to some interesting observations about things podcast hosts do and where they miss the mark of in creating their best possible product and a positive experience for those who are on the show. In a conversation we were sharing the mistakes of both hosts and podcast guests. 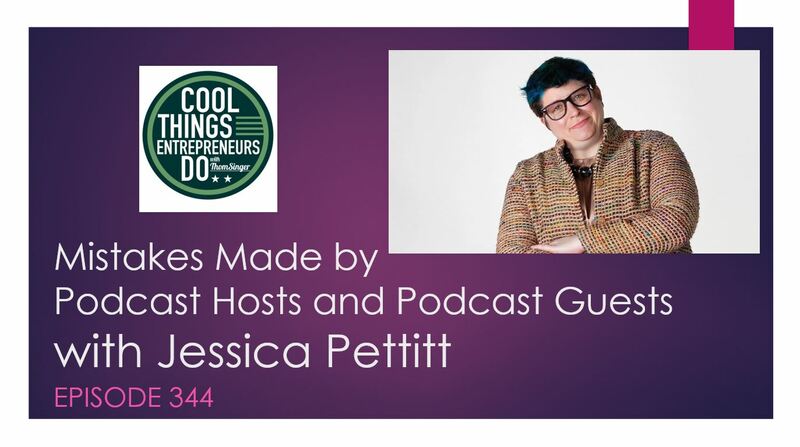 We decided to take this topic onto episode 344 of “Cool Things Entrepreneurs Do”. With the boom in podcasting still accelerating, many are looking at joining in on both sides of the interview. In this episode Thom Singer and Jessica Pettitt discuss areas where both hosts and guests can be more aware in able to partner for greater success in the interview process. Great points on Podcast mistakes Thom! NSA Los Angeles is excited to be hosting your keynote presentation this weekend in Pasadena. We’re looking forward to engaging with you and thanks for doing the special video. I can’t wait to do a video interview with you.